Short on space? Need a full bar? No problem! The Cocktail Wall, designed by Sam Foxman, is a grab-and-go alternative to having a full bar. The cocktail wall measures 8ft wide by 8ft tall and holds up to 200 drinks. Hosts can place wine, martinis, mixed drinks or beer bottles on the sturdy shelves. 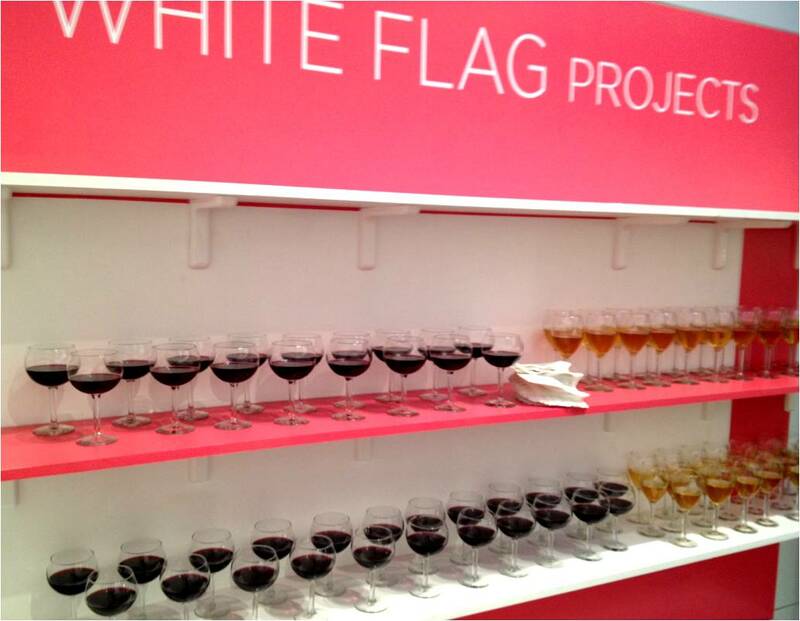 The Cocktail Wall can be painted and branded with organization’s logo and colors (as seen with White Flag Projects in the photo).